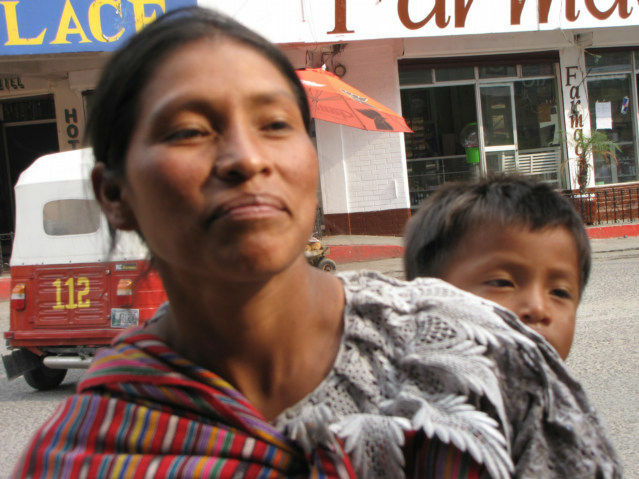 Here is a video of the Mayan Baby Carrier system, whereby women load the babies on their back, then wrap a length of cloth around their body and tied. Probably, the most common baby carrier system on the planet. A reader requested this type of video when I was in Africa, and doggedly I have been waiting for an opportunity for the last couple of years. This baby carrier system is the winner in my opinion. Not the best photo, but I wanted to show you the look on her face, it to me represents fortitude, the persistence, and the desire to do what is needed with no complaint. I want to find this look in the faces of the United States citizens, the country I love. I think there is a lesson in all things, and we do not need 12 steps. 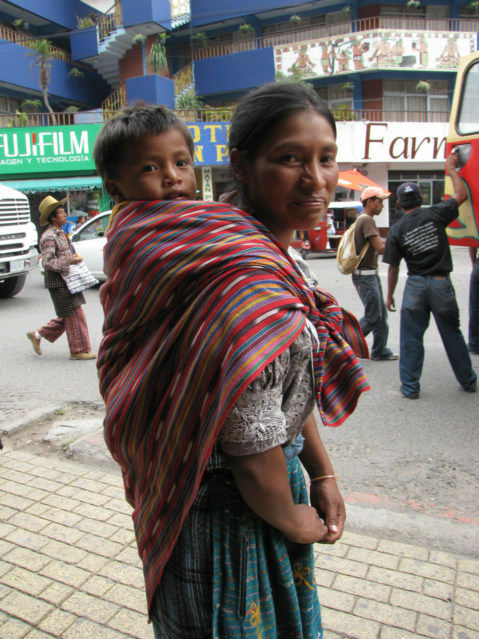 This Guatemala sling style baby carrier systems is not new, however, there is tenderness that one can see when the mother and child are one. The baby cries less, it is as if the mother and child are a team. I am not sure I can learn anything from the developed world, but I know I learn many lesson from the under-developed world that I need. Modern babies cry and these babies do not. My daughter Petra was put into one of these baby carrying clothes by an indigenous women in Guatemala a couple of weeks ago. She seemed fine in it, although it seemed a little restrictive -- which is not a problem for Guatemalan babies, who are generally pretty comatose in public -- but for our baby likes to move her arms and legs, and probably would not have preferred to be carried in the cloth carrier. The western style carriers, like the Ergo, are also made to distribute the weight of the baby on to the parent's hips, which makes them easier to carry. It is sort of like the difference between traveling with a good internal frame backpack as oppose to a tote bag.